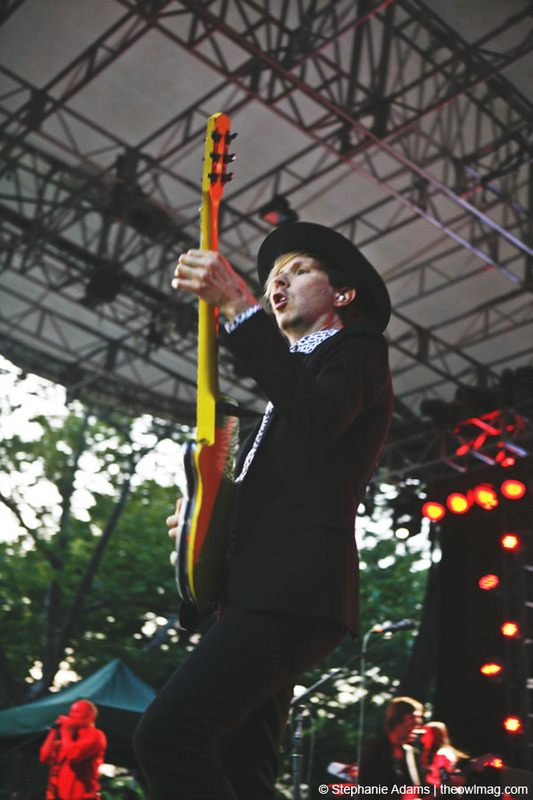 “I’ve never played in Central Park legally before,” Beck told a sold-out crowd at New York City’s Central Park SummerStage. It’s been a long time since his couch-crashing anti-folk days, just a kid and his guitar, and on a clear Tuesday night, the now 43-year-old but perennially energetic musician brought 20 years of material to an eager audience in a show of stark contrasts. But first, a Lennon. 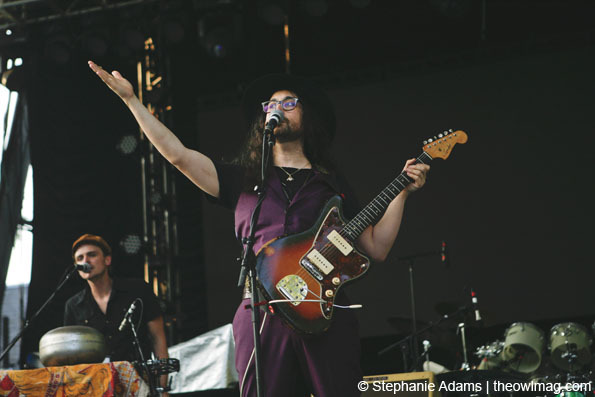 The Ghost of a Saber Tooth Tiger, the ambitious project of Sean Lennon and Charlotte Kemp Muhl, opened with a half hour of blistering, weird, but fresh psychedelic rock. Coming off the April release of their album Midnight Sun, Ghost built themselves a cavernous temple of influences to destroy. Somewhere in their alternate universe, an LSD trip went bad and ended with something much more acidic and twisted than Sgt. Pepper’s, but no less catchy. 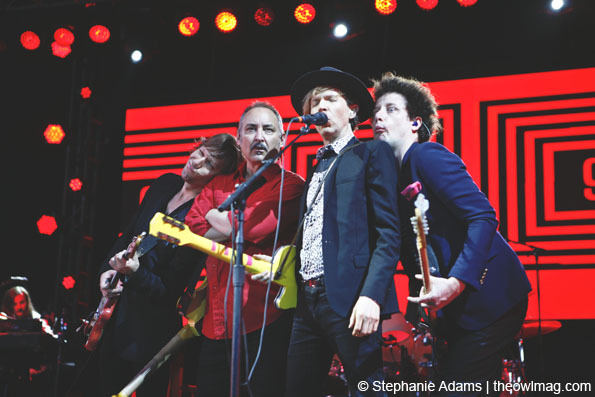 Originally planning to start the evening out slow, beginning acoustic with songs from this year’s sprawling, beautiful Morning Phase, Beck and his band instead decided to take a running start with the screaming, messy “Devil’s Haircut” from 1995’s Odelay. 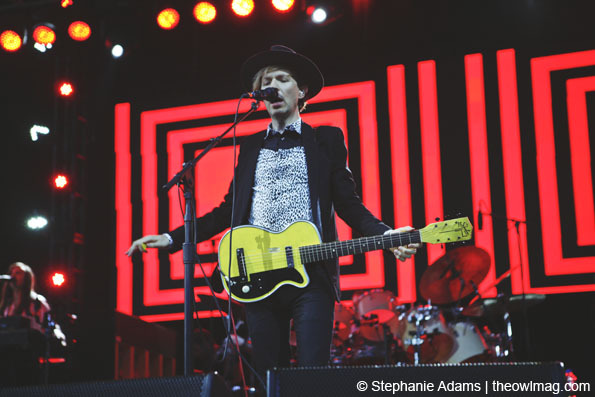 Messy, in this case, is less of a descriptor of how the song was played — Beck’s touring band is immensely talented, handling his diverse repertoire with aplomb—but rather of its layered, distorted composition. 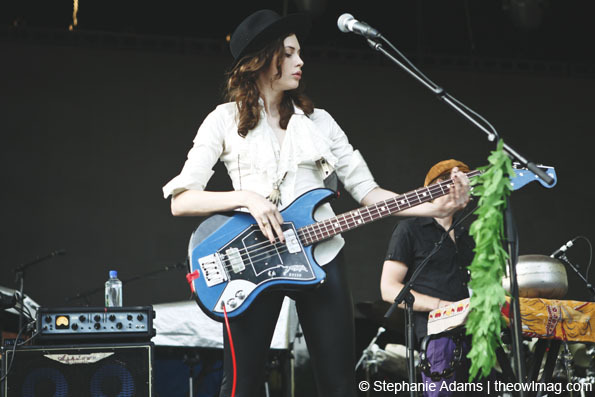 When he finally circled around to Morning Phase, for two brief interludes placed among his older, rowdier tunes, Beck seemed to change outfits completely—all while keeping on that same black cowboy hat. 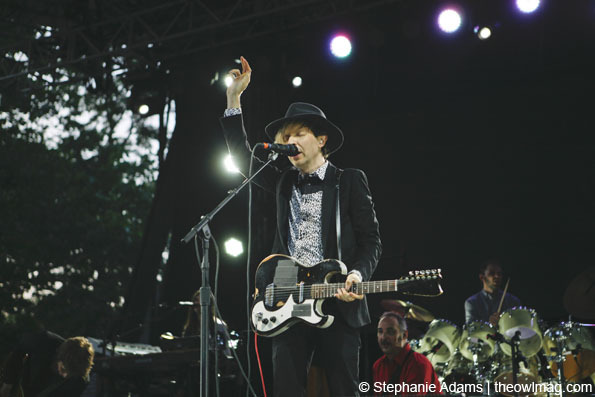 Tunes like “Blue Moon” and “Lost Cause”, on which half the band picked up an acoustic guitar and misty organ thickened the air, bring out the softer, deeper registers of Beck’s voice. His singing feels distant, like he’s a room removed from the audience, and the music behind him is heavy, weighed down like a body stretching out after an afternoon nap. 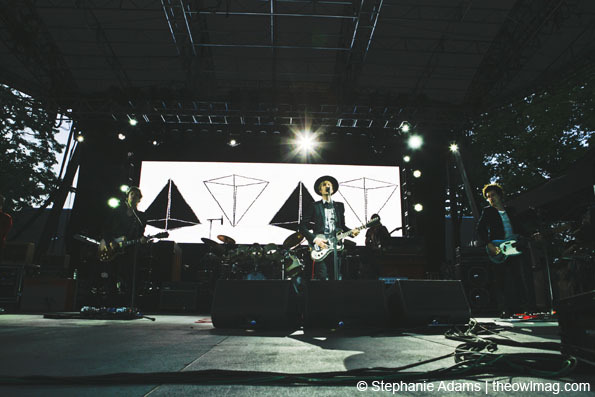 Check out a full photo gallery of Beck and The Ghost of a Saber Tooth Tiger HERE!